From our timeless Gigi Collection, a new traditional style chair with exceptional modern comfort. Shapely profile with sloping side wings recalls traditional silhouettes, while French seams keep the look clean. 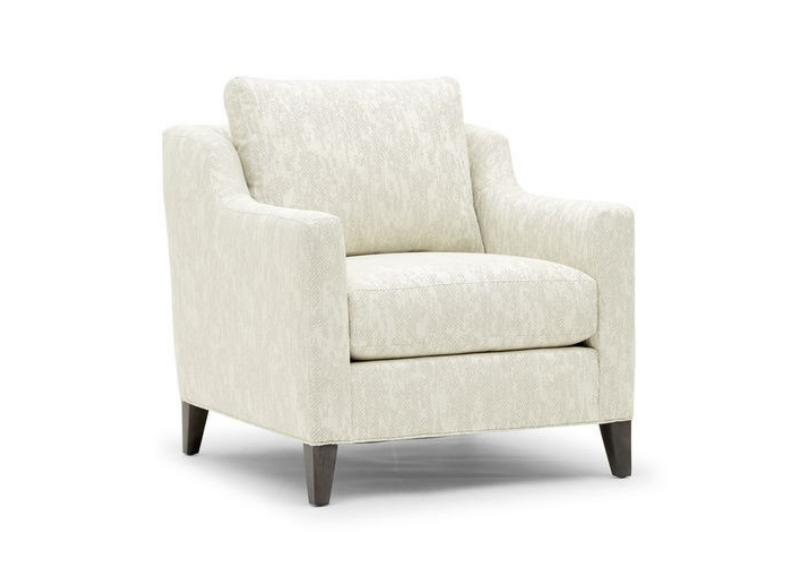 Plush, loose seat cushion and a supportive upright back make for a very luxurious sit. Shown here with tapered wood legs; skirted swivel option also available.